We’re happy to announce the very first Multi-purpose Responsive WooCommerce WordPress theme that is fully translated to following languages: Hindi, Czech, Dutch, French, German, Hungarian, Indonesian, Italian, Polish, Portuguese, Russian, Slovak, Spanish, Chinese, Finnish, English, Cestina, Deutsch, Español, Français, Magyar, Bahasa Indonesia, Italiano, Nederlands, Polski, Português, Slovencina, Suomi. We plan to include also following languages: Croatian, Danish, Greek, Japanese, Korean, Latvian, Lituanian, Norwegian, Romanian, Slovenian, Swedish, Turkish. You don’t need to install WPML or qTranslate plugin. Theme is multilingual right out of the box. Langwitch theme is the most universal eCommerce theme on the market. You can have it in X langauges, X color combinations & X layout styles. White, grey, black, light blue, dark blue, light green, purple, gold and yellow, you can change colors in the admin panel using color pickers. You can use the theme for hotel & hospitality, restaurant, real estate, marketing company, blog, cms, portfolio website, software & computer sales, information technology, travel & tourism, solicitors, lawyer, doctor, car business, music industry, food & drinks, human resources and personal relations organizations, school, university and college websites, science, design, magazine, community websites, crowdfunding, kickstarter or startup websites. 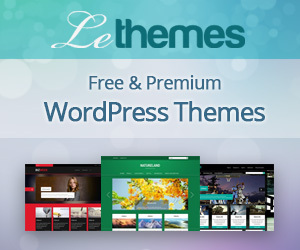 Theme includes all features you can find in themes such as Avada, Enfold, the7, X, u-design or Salient. 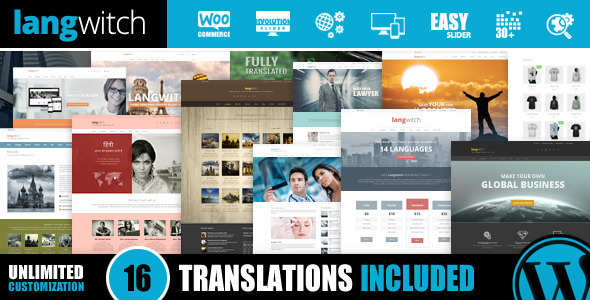 Adding multiple languages to the mix you’re getting the very best theme you can find on the market. 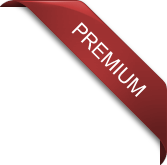 Custom built Page Builder – intuitive for beginners, powerful for advanced users. Unlimited color and layout combinations. Focus on security. with excellent documentation, demos and support. You made building WordPress sites fun again. You updated the future of the wordpress design, you ‘in smart nerd. Gratz. Wow this theme is amazing and the customer service is fantastic! this just to try it out on a WP test site. Another great theme from an elite author. Still a long journey for us to catch up! Using responsive design is practically essential. More and more people are using mobile devices and yet LANGWITCH helps you increase your traffic. Your websites will work across your computer, tablet even smartphone. Every piece is already translated. are included. No WPML or other plugin needed. Create online shop in seconds. layout and fill it up with content. Add as many sidebars as you want. with security best practices in mind. Robust core & stability you can trust. offers to your website cannot be easier. within boxes in a nice form. Quickly. website. Easy setup and looks awesome. just build your form inside page builder. select holidays and add additional text. optimized. You already saved $15! columns to present products or services. end date. Very impressive element. Display lot of content in a smart way. Visitors can click through it very quickly. 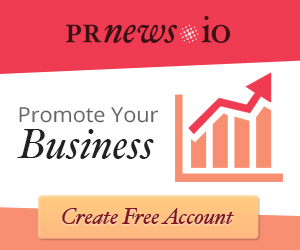 Embed your twitter feed on your site. free Facebook LikeBox or Comments Box. over the internet for free using Mixcloud. A fantastic online streaming service.